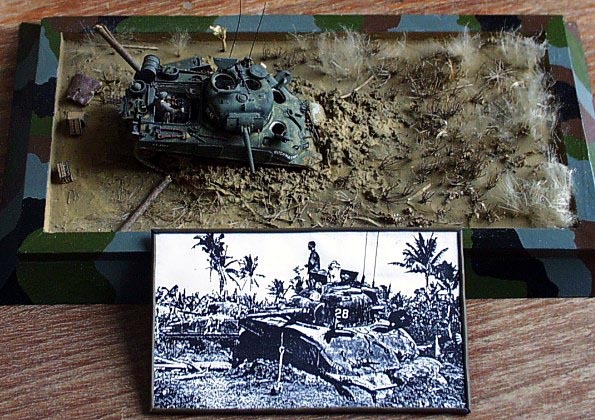 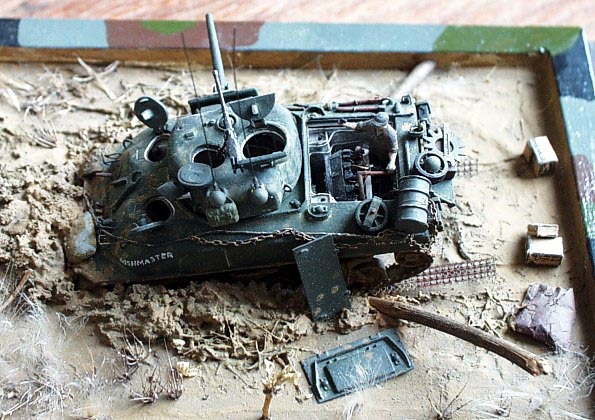 This simple diorama in 1/72 scale is inspired by well know picture published among others in ”Sherman in Action” publication by Squadron/Signal. 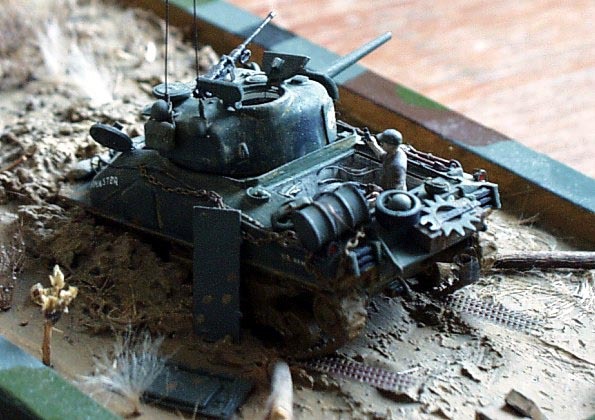 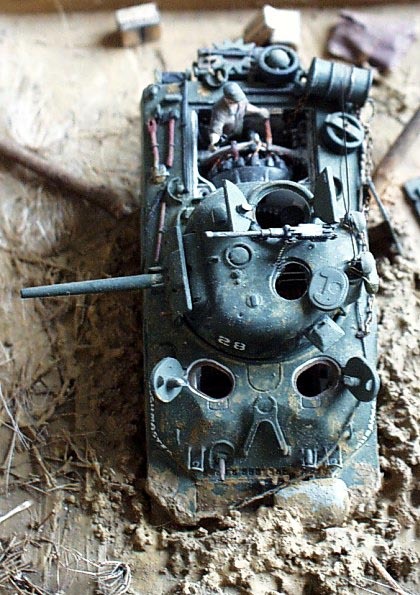 The model of Sherman M4 Composite Hull is scratchbuilt conversion of M4A1 by Esci. 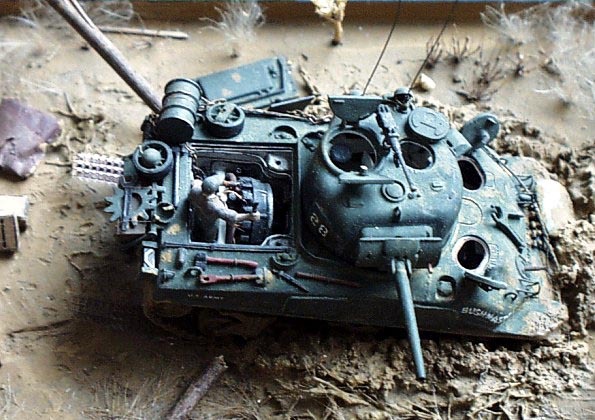 Complete interior is included. 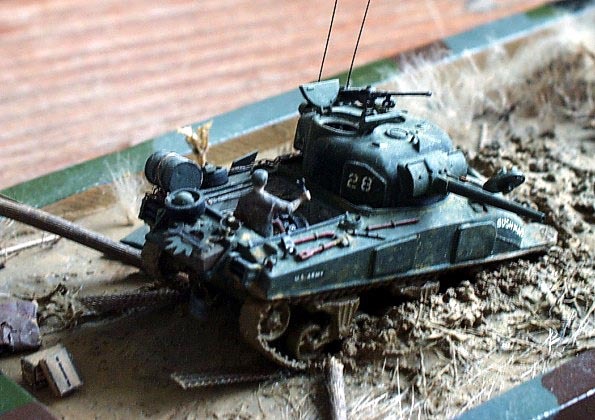 The figure of the mechanic came from USAAF set by Airfix.